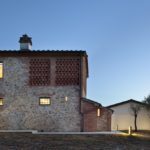 This country house renovation is a project designed by MIDE architetti and covers an area of 320 m2. The project site involves an old country house, built in 1887 in the immediate neighborhood of Lucca and a most recent farmhand’s cottage. This entry was posted in bathroom, bedroom, house, kitchen, living, outdoor, pool and tagged bathroom, bedroom, Country House, house, house idea, houseidea, kitchen, living, MIDE architetti, myhouseidea, outdoor, pool, renovation, villa on August 9, 2017 by admin. 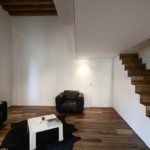 This loft Renovation is a project designed by MIDE architetti, covers an area of 160 m2 and is located in Padua, Italy. This entry was posted in apartments, bathroom, bedroom, kitchen, living, loft and tagged apartment, bathroom, bedroom, house idea, houseidea, kitchen, living, loft, MIDE architetti, myhouseidea, renovation on July 30, 2017 by admin. 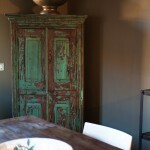 This is a classic Tuscan villa recently restored with sophisticated simplicity. For the renovation of this historic building the architects from Archidomus Atelier, Monica Rossi and Claudio Cencetti, have used materials that will maintain and enhance its typical characteristics to give the villa charming and simultaneously contemporary expression. The beautiful supporting ceiling beams have been carefully sandblasted and restored at their original glory to create a home charming in the minimalistic modern decor. 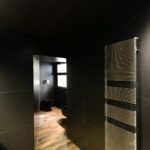 The solidity of the used materials, the spirit of time past that can be felt in the premises and the simple elegance of the more modern additions composes a very inviting and stylish space to inhabit. This entry was posted in bathroom, bedroom, house, kitchen, living and tagged Archidomus Atelier, bathroom, bedroom, house idea, houseidea, Italy, kitchen, living, myhouseidea, renovation, Tuscan, villa on June 22, 2016 by admin. Moorenweis is a farmhouse renovation project designed in 2013 by Buero Philipp Moeller and is located in Moorenweis, Germany. This entry was posted in attic, bathroom, bedroom, house, kitchen, living and tagged attic, bathroom, bedroom, Buero Philipp Moeller, Farmhouse, Germany, house idea, houseidea, kitchen, living, Moorenweis, myhouseidea, renovation on July 30, 2014 by admin. Hurlingham Road by De Rosee Sa. Hurlingham Road is a renovation project completed in 2013 by De Rosee Sa and is located in London, England, UK. This entry was posted in bathroom, bedroom, house, kitchen, living, outdoor and tagged bathroom, bedroom, De Rosee Sa, England, house idea, houseidea, Hurlingham Road, London, myhouseidea, outdoor, renovation, UK, villa, Wood Floors on April 22, 2014 by admin. 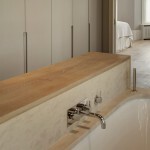 Joyce & Jeroen House renovation by Personal Architecture. Personal Architecture has overhauled a traditional townhouse in The Hague, Netherlands by adding mezzanine floors, a glass elevation, a triple-height kitchen and a spiral staircase. This entry was posted in house, loft and tagged architect, home, houseidea, idea, Joyce & Jeroen, loft, myhouseidea, openspace, Personal Architecture, renovation, terrace, villa on June 9, 2013 by admin.